Sponsors - WE NEED YOU! The Springwood and Districts Basketball Association Inc (Springwood Scorchers) is a non-profit organisation that trains, encourages and supports local basketball players. SDBA is managed by a volunteer Board. The names of current board members may be viewed here. There are approximately 13 people employed by SDBA. If you would like to contact us, whether by phone, in person or electronically, visit our Contact page for more information. The S&DBA Inc. is a non profit organisation that does not operate for the profit or gain of its individual members. To foster a safe & friendly environment for all players to play and develop skills in the sport of basketball with the emphasis on participation, fun and good sporting attitude, and regardless of skill level, gender, age or financial status, every member feels valued and has the opportunity to develop a love of basketball. To create and maintain a representative and refereeing program as a pathway of opportunity for players and referees to progress and develop their skills. 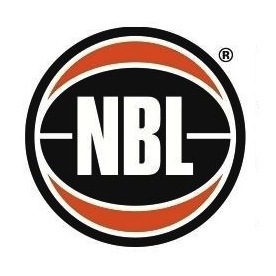 To promote an environment for players, coaches, managers, officials and spectators to participate under a Code of Conduct endorsed by the Australian Sports Commission and adopted by the Springwood and District Basketball Association Inc.
To build the profile and membership of the Association through effective community engagement, advertising and public relations opportunities. To provide opportunities for coaches to develop their skills and knowledge through courses, training camps and support. To promote a tribunal system that allows a fair and just hearing for all parties and is conducted in a just and professional manner. Junior Court Fees due week 21/5/18. From 28/5/18 any non-financial player will be unable to take the court.